The 2015 and earlier Cadillac ATS4 2.0T has torque converter 6-speed automatic and has a suspension that feel like it was carved from ingot it is such solid handling car. The AWD system is a Borg-Warner and bullet proof with heavy rear bias that allows some rear wheel drive shenanigans but yet efficient that I could see 37 mpg at 65 mph. You should be able to get them used off 3-year lease for as low as $28,000-32,000 range. I was recently looking for a new car in this segment or a mid-size SUV. 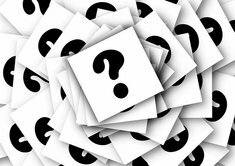 Ended up with SUV but I can tell you which cars I considered and why. 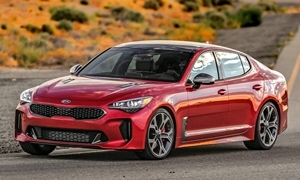 I looked at the new Kia Stinger which fits what you want and if you stay with the 2.0T model you will stay in your price range. You get a 10 year 100,000 mile warranty, and you get a discounted performance luxury car. The rear seat is what disqualified this for me as when I tried to sit back there at the NY car show last month, it was a tight fit. No relablity yet but most Kias are quite reliable. I looked at your Genesis (G80) and liked the car but the wife did not. She thought the interior was very old fashioned but otherwise thought the car was fine. The new G70 just launched might be better for her but I needed a car last month. The G70 is another option for you but is a new design, so no reliablity yet but most Hyundais are quite reliable as well. 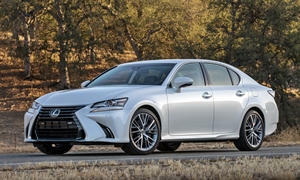 Looked at the Lexus GS but I disliked the display and tracking pad the controls offered. You could get a used one with bulletproof reliablity in your price range, but I would suggest you try it out to see if you like the controls - I did not. The Cadillac Norm mentions is another possibility, lower on the reliablity scale. 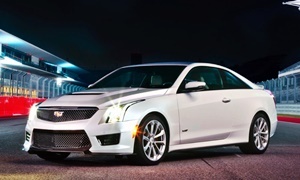 The ATS has some issues with the climate control system, power equipment, and in-car electronics. Unfortunately, with CUE Cadillac has a very advanced system that for many can be hard to use unless you master the verbal controls as the haptatic controls in the car don't work well. In fact, they are so bad that Cadillac on the recently launched 2019 XT4 will be moving away from those controls (although they are still provided) and offer a rotary dial and button to help control functions inside the car. You will be well suited to try out the controls a great extent before purchasing this car. On the plus side, of all the cars listed here, it is the most responsive and best handling car on the market - better than the BMW and Mercedes according to car magainzes (my test drives showed it does handle better than all of the previous cars I mentioned as I tried them all). Why did I not buy one? My family. They wanted me to get a bigger car for my growing twins. Only reason I did not buy one of these (also considered the Buick Regal but I think that car although it does drive well is probably not what you are looking for - but it is reliable and the previous generation is quite sporty). Might want to look at a Honda Civic Si or even a Type R!! Jim, don't you think those are too small based on what he has now? I did not suggest those (as they are good options) but they are a size smaller than the G80 he has right now. He has a Genesis Coupe, not a G80, which has a tighter interior than most cars being a Coupe. 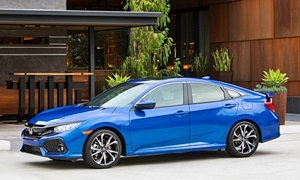 The Civic Si and Type-R are similar in size to the WRX the OP is thinking of. I think the Type-R would be a great choice and value. I agree with AcuraT that the ATS handles well and is a decent car, every year has had iffy reliability and the interior is not as good as its competitors. I really liked the Kia Stinger during a test drive. I loved the 3.3TT engine and it handled very well. It is available with AWD. The car just feels very well balanced and it reminded me of an Audi. The back seat is pretty tight and the ride is a bit firm (not like a WRX), but that is the trade-off for handling. The interior is beautiful and it has many standard features. 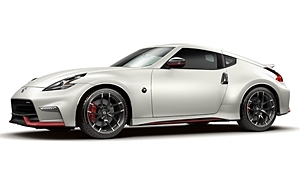 I would get a CPO Premium 2.0T model or GT with the 3.3TT. Reliability should be pretty good. The GTI is a always a good one, but reliability has never been great. Same with the Golf R.
The G70 looks like it might be better than the three German brands in the compact luxury sedan market. Since it still is a very new car I would hold of on it until they fix the initial issues. 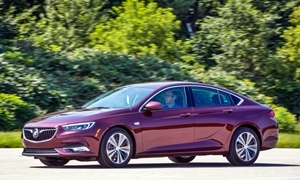 2018 Regal Sportback 2.0T has twice the trunk space of the Accord but offers AWD and a longer 4 years, 50,000 mile warranty. New 2018 Buick Regal Sportback Preferred II for sale at O'Neill's Chevrolet Buick in Avon, CT for $30,975. 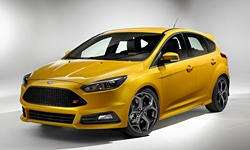 View now on Cars.com. 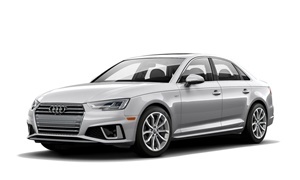 2011-2014 Audi S4 could be your ideal choice. WAY faster than any of the cars you've listed, plus better handing, good reliability and oustanding comfort. It's availabe in a 6 speed manual if that's what you want. That S4 with the V8 had some manual transmission problems. As an instructor for ACNA at the time the handling of th S4 V8 was very similar to the 2005 Pontiac GOT I had at the time. I should have, could have, never did when I was single and no kinds. Now I wish I did. Plus you can get them fairly cheap now too.